Whether or not you have sent or received corporate ecards you cannot fail to have heard about them. Sent via email, these are the perfect way of sending a personal message to somebody you care about. There are times, however, when we want to send a private and personal message to somebody we don't know so well, or aren't particularly close to. The workplace is one such environment where you may know people to have a chat with at coffee time but may feel uncomfortable putting your feelings into words. This is where ecards come into their own and if you work with somebody who is undecided about making a decision in their lives this Carpe Diem is perfect. 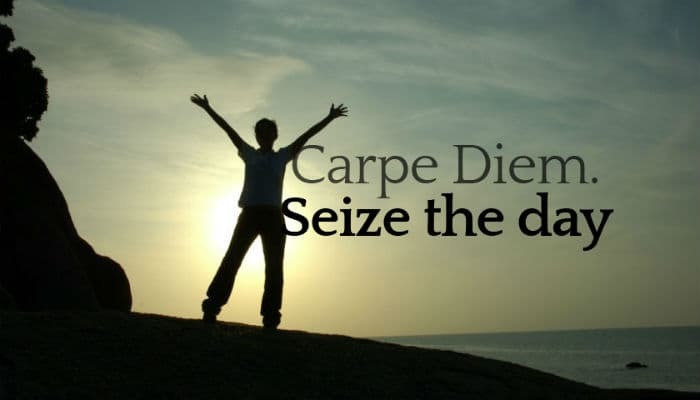 Seize the Day is a mantra more of us should live by so we can look back with no regrets. If you try and fail you can at least say you tried, which is a lot easier to live with than what ifs. If someone in your office is sitting at their desk deep in thought and looking a bit worried this landing in their inbox may make more of a difference than you could ever realise as sometimes all they need is to believe in them. If your business is interested in sending Christmas ecards for business this coming Christmas holiday season then we would love to hear from you.